Fast Screen is a product from insurance specialists, Charles Milnes and Company, and is aimed at the creative sector. 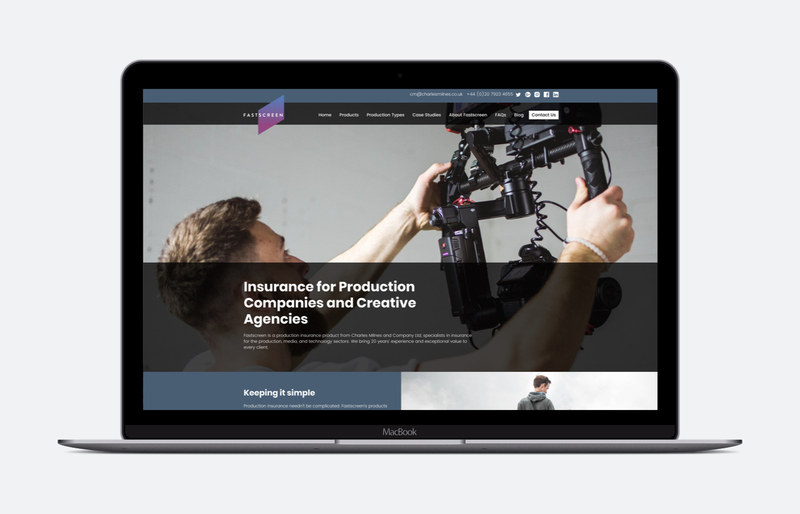 Providing an array of insurances from indemnity to contents; Fast Screen needed a website that was clean, well designed and attracted the a creative-sector audience. Hyper Pixel was commissioned to design and develop a new website for Fast Screen which resulted in a new multi-template WordPress site. Fully responsive, the site includes case studies, contact forms and fully customisable content.